Samuel Smiles wrote one of the earliest personal development books, appropriately titled, Self-Help. Smiles has influenced countless people through his work. While he lived many years ago, his influence is still alive and well today. In fact, Sakichi Toyoda, the founder of Toyota Motor Corporation was a big fan of Samuel Smiles's book Self Help. 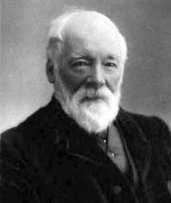 Samuel Smiles was a strong advocate of material progress based on individual enterprise and free trade. 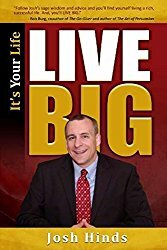 His book, Self-Help was originally rejected by the publisher, yet undeterred Smiles went on to publish the book at his own expense and risk, retaining the copyright. It sold 20,000 copies within one year of its publication. By the time of Smiles' death in 1904 it had sold over a quarter of a million. Smiles argued that self-help provided the best route to success. His book Self-Help, which preached industry, thrift and self-improvement was published in 1859. He also wrote a series of biographies of men who had achieved success through hard-work.